Morning everyone, I'm so excited today as I have been asked by Chrissie to be Guest Designer for this weeks LIM challenge!! Such an honour and I was delighted to accept. The challenge this week is Paper Piecing and as always there must be lots of white space and few embellishments. I used some paper from a springtime pad which had a floral design that worked well with the stamp. It was double sided paper with a plain side that I pieced the hat with. The corners and sentiment are part of the stamp set and I just added a tiny black heart to the sentiment flourish. I thought I'd make another card using this technique and a stamp from Imagination crafts. Very simple, just stamped onto some oriental card, fussy cut and a little wink of Stella on top. There are actually two little ladybirds as well but not very visible on this photo! I hope you are all inspired by the DT's cards and I look forward to seeing your cards in the gallery. wo gorgeous cards Val. The paper you've used for the lady is perfect but absolutely love the leaf card with the two cute ladybirds. Congratulatione on your GD spot. Congratulations Valerie on the GDT spot, these are two beautiful cards. Congratulations on your GDT role at LIM Val. Love the two paper-pieced cards - fabulous choice of papers for the dress and leaves. How wonderful you were asked to be GDT for LIM - good choice on their part, I'd say! 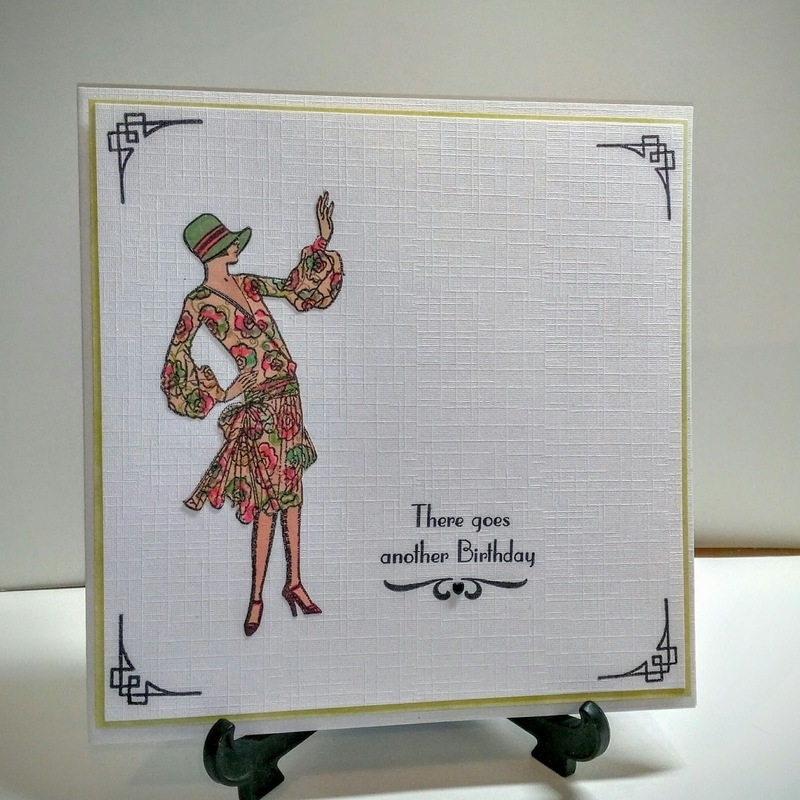 Just love your card, they image is perfect and the paper you chose fabulous. Excellent pairing with the sentiment! congrats on your guest designer spot, val... very well deserved!!! your cards are amazing!!! Great to have your with us, Val. The paper you chose for the dress is perfect, such a great design and fab co-ordination with her hat too. 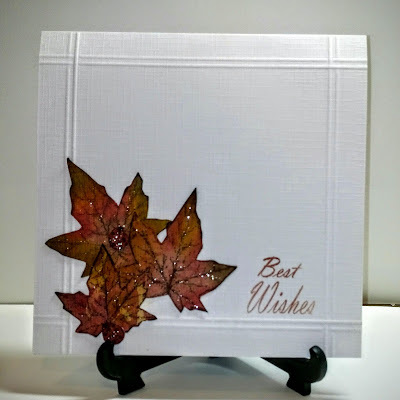 I love the linen cardstock you used on both of these, and the shimmery leaves look wonderful too. Val lovely to have you join us this week and two gorgeous creations to inspire. Like you I love Acid Drops and the scale of your paper is perfect for her dress - looks great! Congrats on your GDT spot! I love both of your works, so eye catching and with clever paper piecing , they're both fabulous! Congrats on your GDT. I love the paper you used for her dress, so right proportionately and for the period - I love it. Congratulations Val on being guest designer at LIM thoroughly deserved. Loving both cards especially the first such a difficult technique but the outcome is fantastic and love the print colour on the dress.